Synopsis: When sixteen-year-old Sylvie’s brother takes over management of their family’s vast estates, Sylvie feels powerless to stop his abuse of the local commoners. Her dearest friend asks her to run away to the woods with him, and soon a host of other villagers join them. Together, they form their own community and fight to right the wrongs perpetrated by the king and his noblemen. I really, really wanted to love this book. 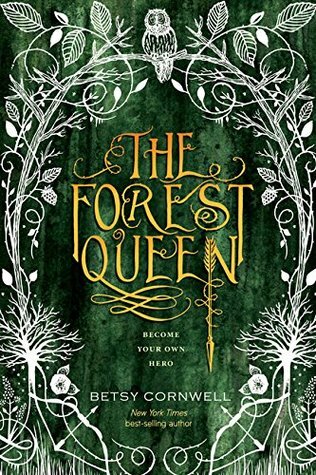 A gender-bent Robin Hood retelling? Sounds perfect right? But unfortunately it didn’t quite work for me. Parts of the story felt clunky. I often had to go back and reread because it wasn’t always obvious how the story moved from one scene to another. It also felt like there wasn’t much happening for most of the book. I was about 50% through and trying to figure out where we were headed and when the action would begin. Overall, I was looking for more in this retelling. This wasn’t a bad book by any means, I just think it didn’t quite work for me. I could see the appeal and think there will be plenty of others who enjoy the story, so if it’s on your radar, don’t write it off! Thank you to Houghton Mifflin Harcourt & NetGalley for sending me a copy to review! Sounds like a good book and the cover looks amazing.